Can a Plaintiff win adverse inference instructions for the destruction of a phone recording destroyed after a one-year retention policy and whose relevance (or existence) was not known by the Defendants for two years after the event happened? (3) That the destroyed evidence was relevant to the party’s claim or defense such that a reasonable trier of fact could find that it would support that claim or defense. Candy Marcum v. Scioto County, 2014 U.S. Dist. LEXIS 112100, 42-43 (S.D. Ohio Aug. 13, 2014). The case involved the Plaintiff seeking adverse inference instructions for the recording of a phone call in November 2008. The deceased called his wife from the county jail. The recording was deleted per the one-year document retention. The Magistrate Judge initially found that the phone recording was destroyed per the Defendant’s document destruction policy, but granted adverse inference instructions because of the Defendants’ “negligence.” The Magistrate Judge looked to the facts that the Sheriff requested an investigation into the death of the victim and the Plaintiff had hired an attorney. Marcum, at *43. The District Court Judge found these facts did not constitute enough for an adverse inference instruction for the phone recording. The Defendants did not know of the recording, which goes against the “culpable state of mind” requirement for adverse inference instructions. Marcum, at *43-44. The Plaintiff further declined an interview with the investigator in 2008 and did not notify the Defendant of the existence of the phone call. Moreover, the Plaintiff waited two years to file a lawsuit and request the recording. Marcum, at *44. The existence of the recording was not made until 2010. Id. The Defendants did retain relevant video, but claimed they never knew of the phone call or its relevance. As such, the District Court modified the Magistrate Judge’s order regarding adverse inference instructions. Marcum, at *48. 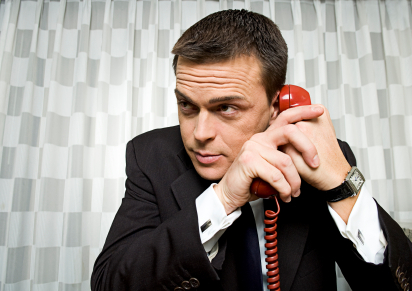 Attorneys cannot phone in spoliation allegations. If one side believes information exists that should be preserved, include that in your preservation letter to the opposing party. It is difficult for one party to be attacked for the destruction of evidence if they were never on notice of its existence. Moreover, discuss possible sources of relevant ESI during the meet and confer to ensure the electronic information is both identified and preserved. Next Post:Does Proportionality Disappear If a Lawyer Says “Predictive Coding” Three Times?